Anything that starts in Paris never stays in Paris. 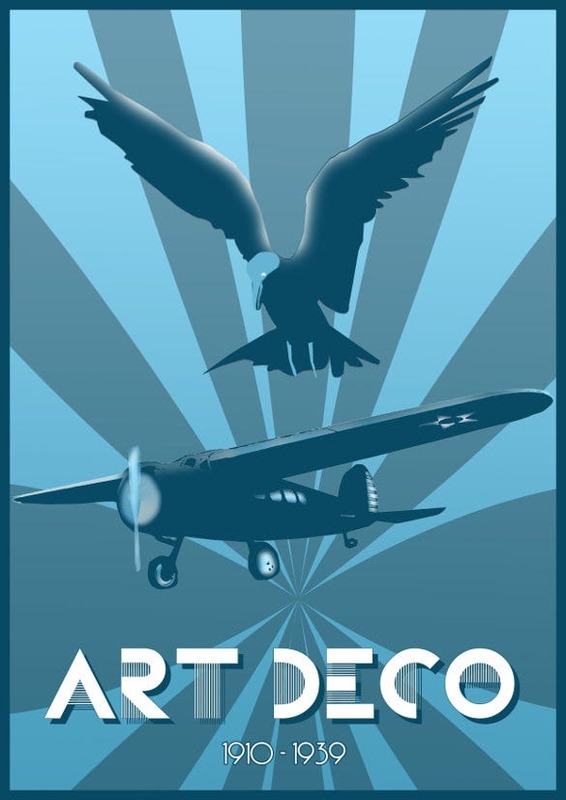 A perfect example of it would be the Art deco movement in the form of posters and paintings that spread from Paris to round the world in form of Empire State Buildings or the underground station of London. 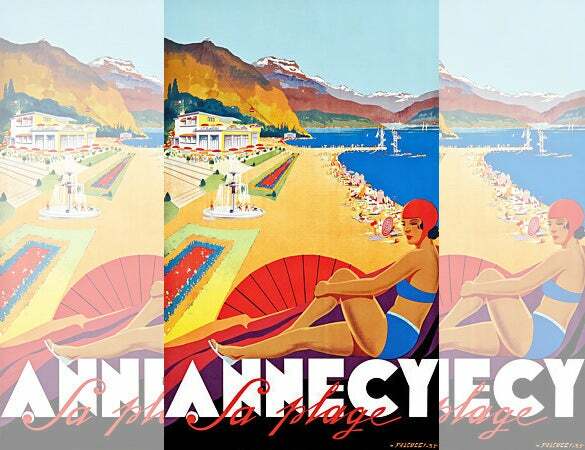 These Art deco posters are the perfect blend of bold styles and exceptional color combination which brings out the technological and social aspect of the culture. You can also see Art Deco Painting. 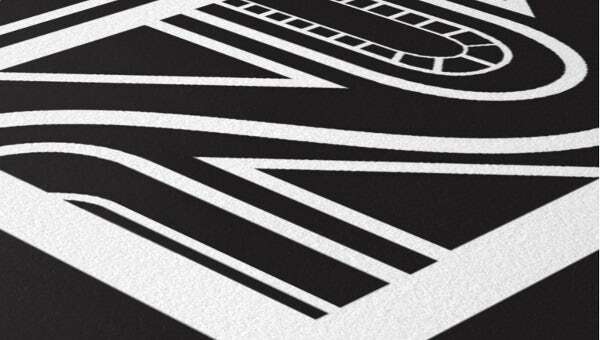 These posters have another kind of geometric patterns embedded in industrial images which are glorified with glamour and opulence. These posters can be printed in high quality and are available worldwide. See this Poster Templates. This poster demonstrates the Deco style very genuinely. The creative compilation of bold colours, geometric patterns and symmetry used in the design is enough to allure the audience. The poster would serve as an awesome background to a new style of pamphlets or posters. This poster illustrates smoke coming out of smokestack of a ship and a cargo being loaded. The poster was initially designed for New York City’s Department of Docks on the launch of United States’ first Foreign Trade Zone (FTZ), Staten Island on February 1, 1937. 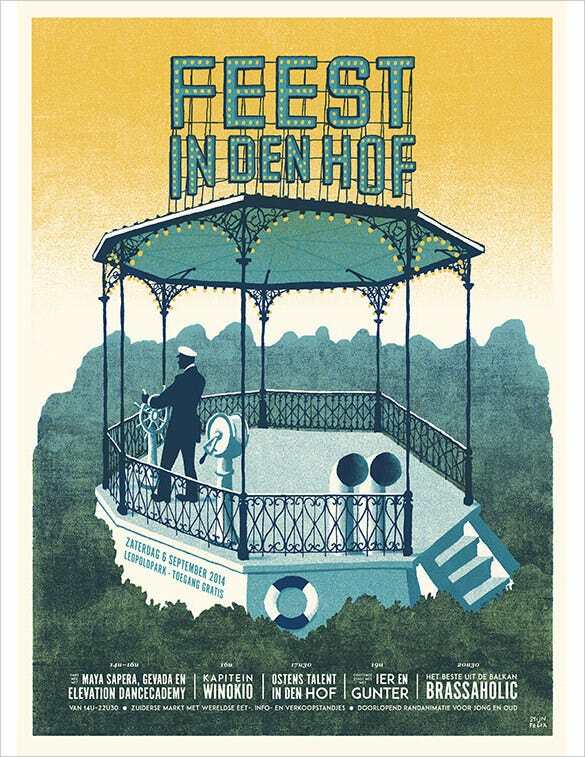 This poster, in its deco style, is a very attractive way to invite people. The use of earthy colours gives the poster, an artistic yet realistic touch. The artist has brilliantly served the main purpose of the poster by highlighting it on the top. 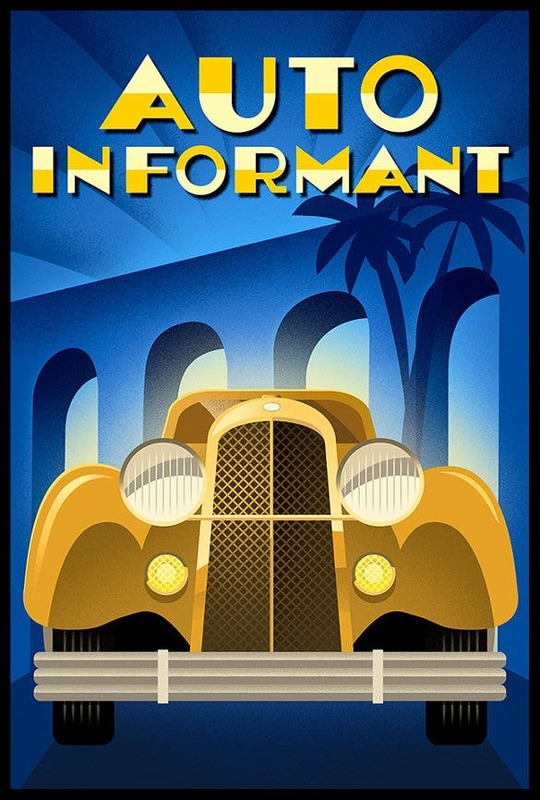 This poster illustrates the famous art deco theme in a unique way. The two neutrals add a really appealing contrast effect to the design. The Rays in white, enlightens the artistic world, through the best masterpieces. 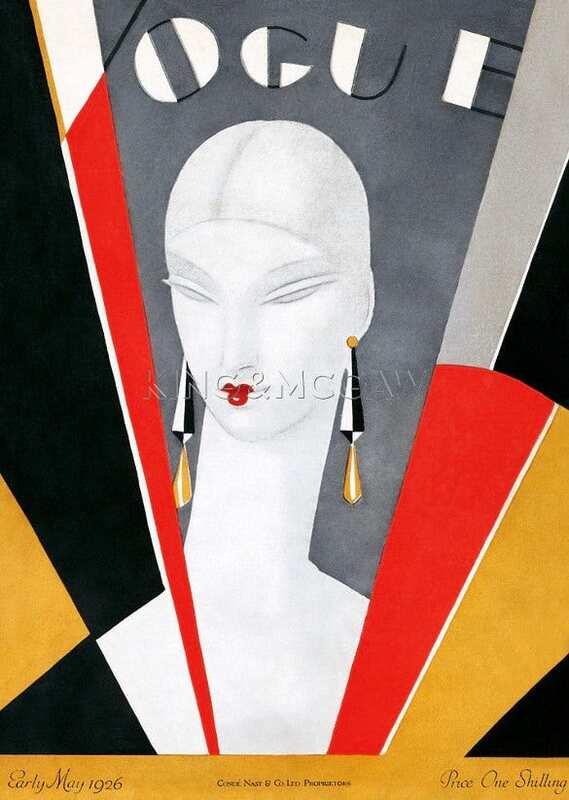 The cover of Vogue, Early May (1926) designed by the famous artist Eduardo Benito, clearly epitomizes the beauty of poised ‘Illuminati’ fashionable women of that era. This poster will speak for itself in a best way, when used in your fashion boutiques. 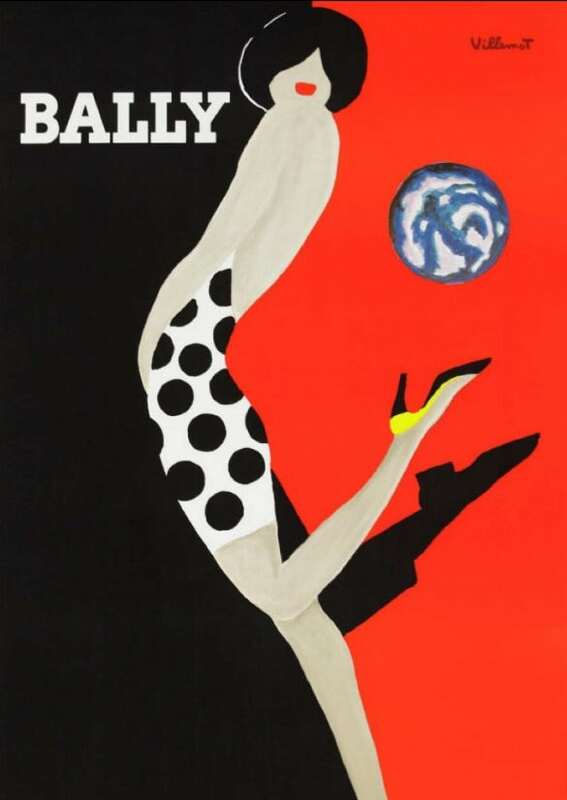 The poster of Bally Villemot’s ‘Kick’ highlights the vintage fashion of shoes. The lady pointing her heels upward has a shadow of a man doing the same. This collectible poster can be smartly used to beautify your walls, till this date. The exhibition in Paris not only showcased the masterpieces of fashion, art, architecture and interior design; but it did have a place for machines too as the world had started inclining towards the technology and modernization. This poster showcases the rate of increasing number of interested people travelling via planes. 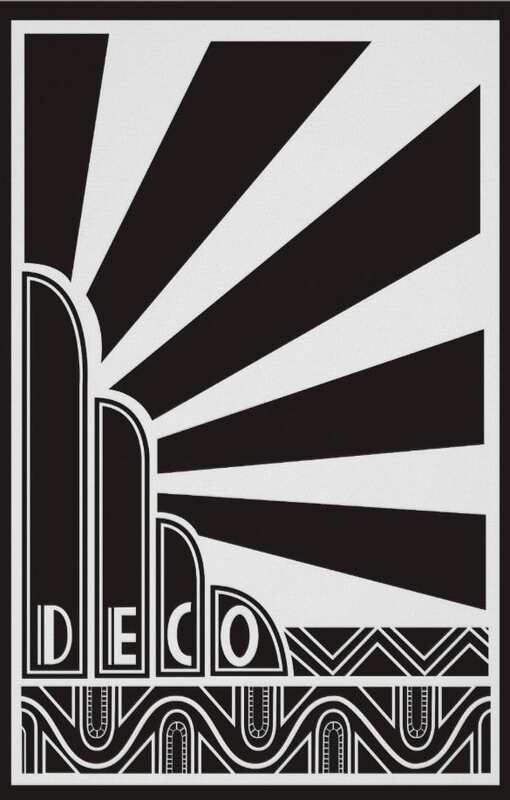 From 1920 to 1937, Art Deco was considered as a commanding form of art in Paris. With a vision of being a modern nation, France held a world exhibition in Paris. 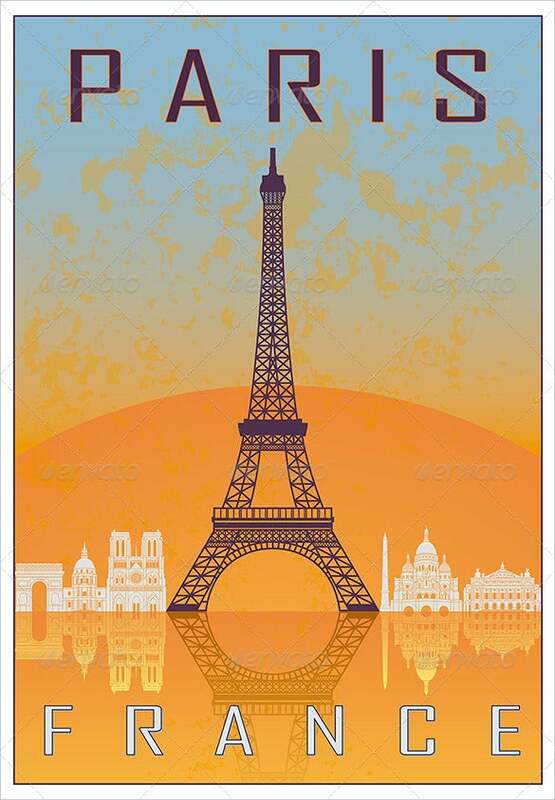 This poster is featuring Eiffel Tower of Paris in a vintage taste. 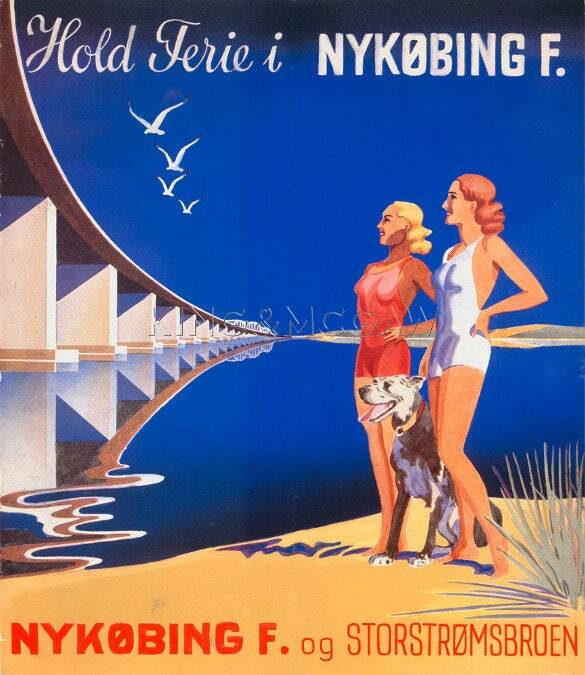 This poster is a vintage advertisement for travel and tourism. 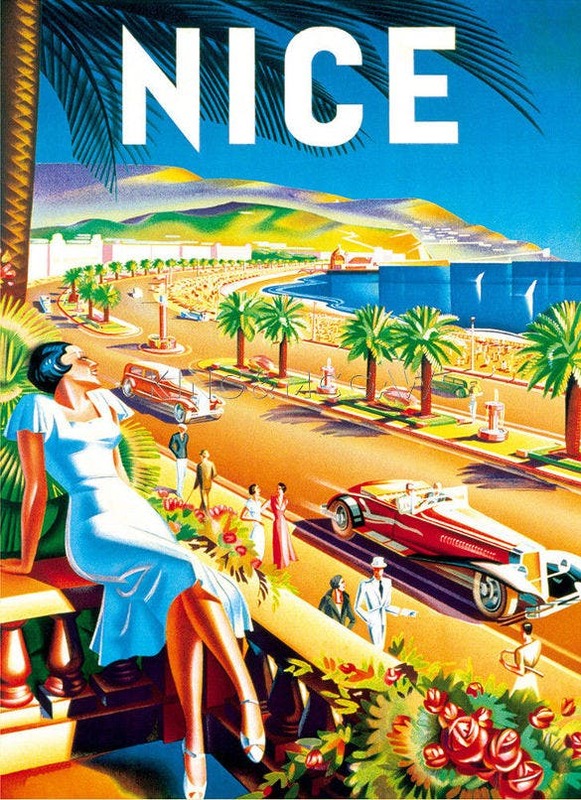 It reflects the quality of life in Nice situated in France. The Beautiful lady embracing the stunning view of the French Riviera along with aristocratic vintage cars, roads divided by palm trees, calming sea and the Alps in the background. 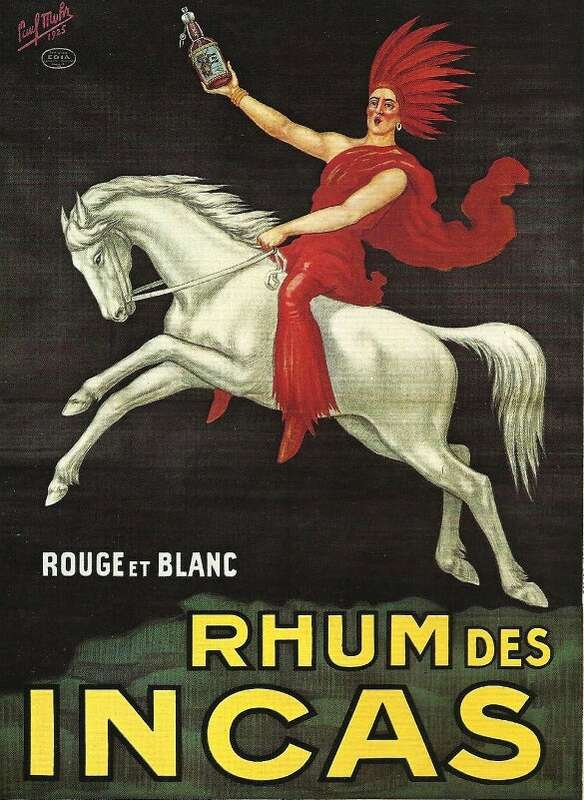 As suggested by the title, the poster was created in 1925 to initiate tourism. This poster clearly exhibits the Art Deco theme. It can be used in a room of a young, free spirited person, who thrives for adventure to reflect his/her personality. Two colours with a white perfectly used to the might. 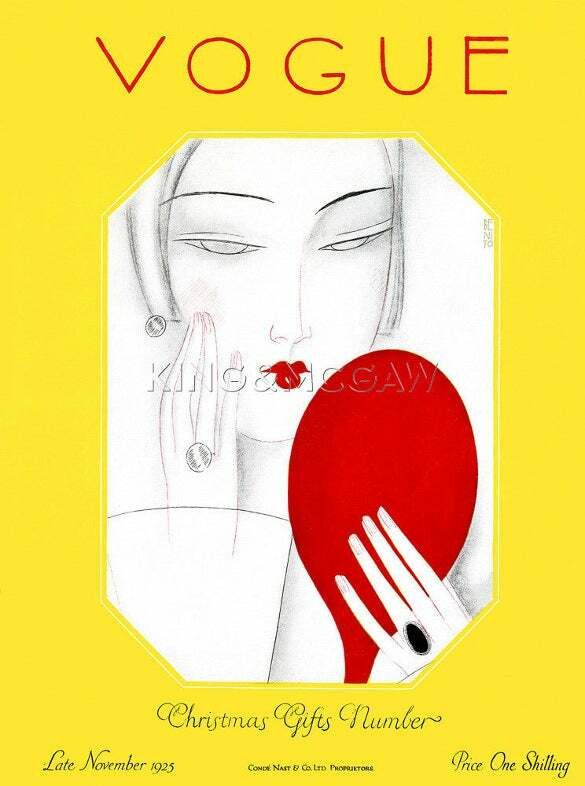 The artist, Eduardo Benito, depicts a lady dressed simple, embracing her beauty by looking at herself in the mirror. 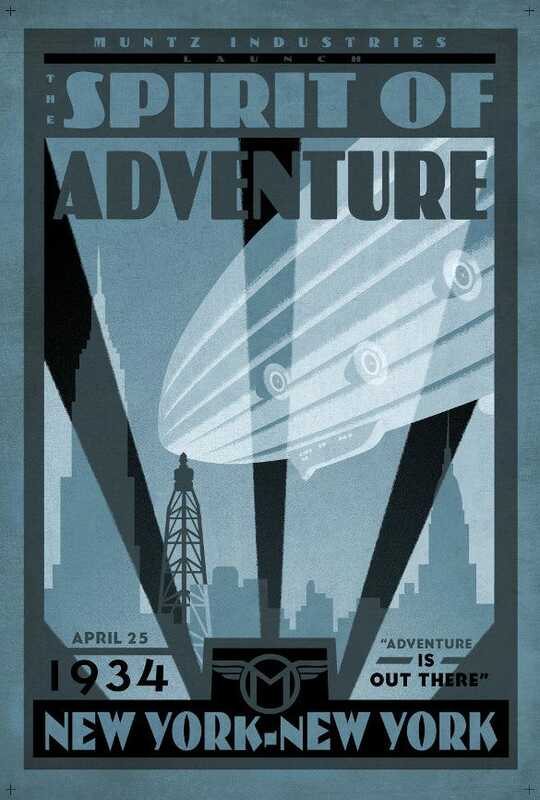 This poster is an inspiring example of the amazing Art Deco. 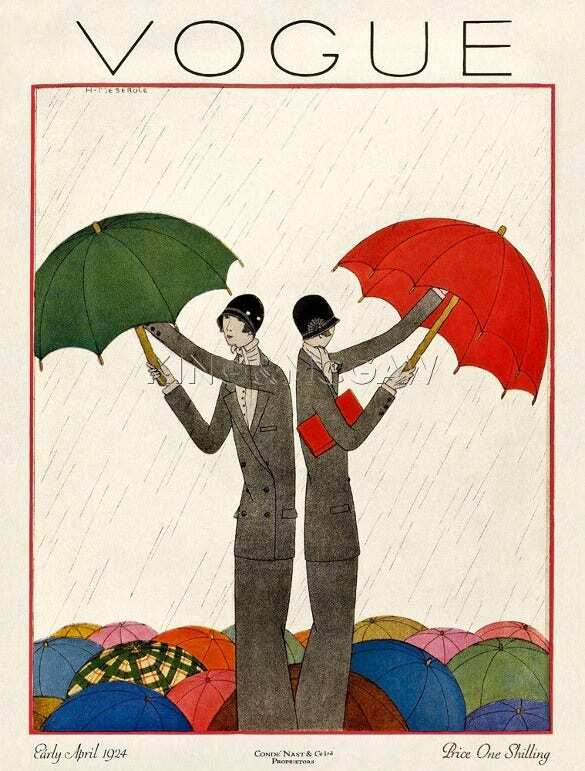 Ernst Deutsch-Dryden created this beautiful poster in 1912. 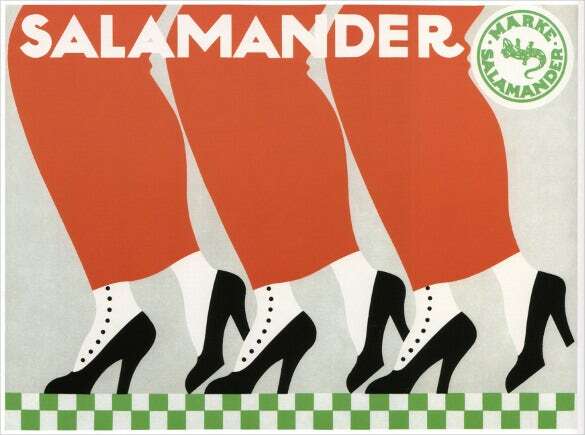 This was basically a commercial advertisement for a shoe company called Salamander. 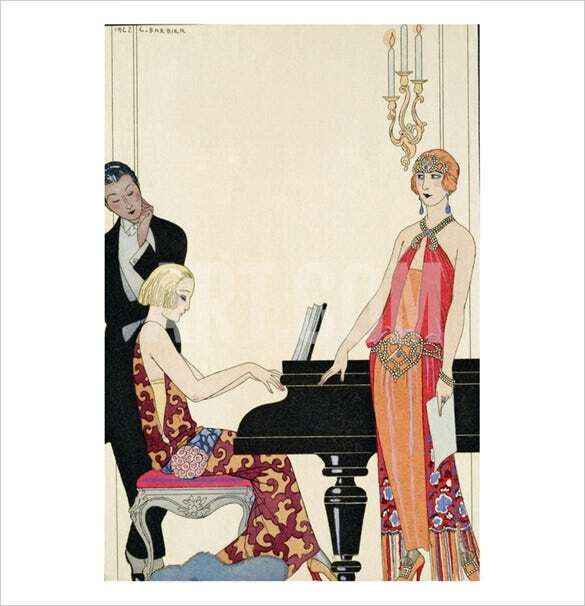 This chic poster can be used creatively to add vintage fashionista touch in Bohemian style interior design. 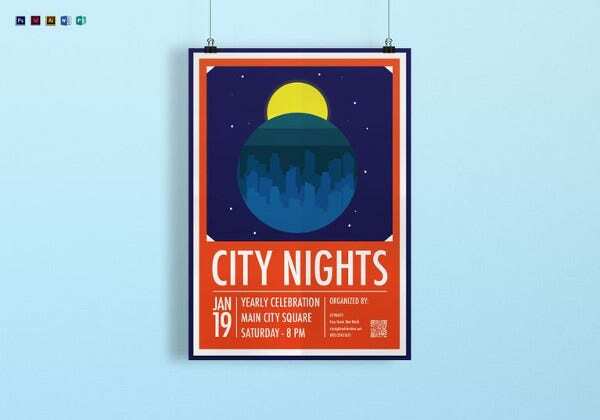 This poster illustrates the Cincinnati Skyline in a retro flair. The contrasting orange/ yellow and blue complement each other to create harmony. 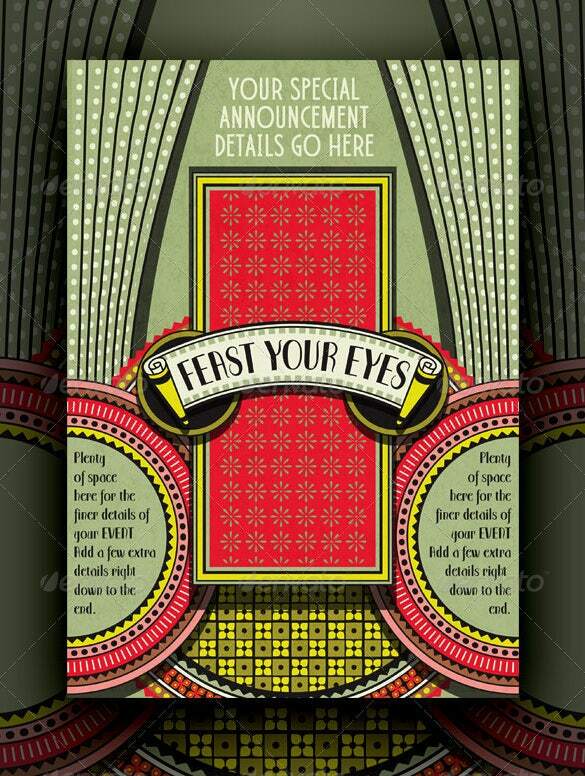 The poster can be cleverly used in living rooms where vibrancy and Retro theme are the desired ambience.